Manganese X Energy Corp. has presented a quarterly review and update of its projects, goals and accomplishments. We are very encouraged to have achieved some major milestones and look forward to an even better second quarter. Manganese X has received a very encouraging report on the Project including the combination of gravity, flotation and magnetic separation techniques which were employed. This would include a flow sheet with significant developments especially to upgrade our ore from Battery Hill to Produce Battery Grade Material. Best results were from flotation tests and techniques including a Mn concentrate grading 19.5% Mn, a 40% increase relative to the average ore grade. These results complement our current efforts to develop a competitive flow sheet as we continue to improve the purity of our manganese compounds for use in batteries. We continue our quest to achieve 99.9999% purity and are optimistic of success. As previously announced, Manganese X Energy in collaboration with Kemetco Research Inc. was able to produce manganese sulfate with a purity exceeding 99.6% and with very low levels of base and alkali metals. The Company and Kemetco are moving forward with the purification process and are currently outlining the next phase of the project aimed at producing high-purity (&#62;99.9%) battery-grade manganese compounds for use in different types of battery chemistries (e.g. Li-ion and alkaline). We are planning a fall drill program to complete a NI-43-101 resource estimate with the intention of upgrading our current classification of mineralization to the indicated resource status. The program will focus on near surface, higher grade areas of the deposit such as the Moody Hill sector. We are pleased to announce the commencement of an extensive exploration program starting May 15th or sooner depending on weather conditions. We will first evaluate priority surface anomalies (induced polarization (IP), copper-nickel-cobalt soil anomalies and indicated extensions of the known North and South occurrences) through detailed prospecting and geologic surveys and then proceed with trenching with dynamiting where surface conditions permit. This initial work will be quickly followed by a significant drill program. MSOG has informed the Company last week that MSOG has received approval of financing for their oil and gas acquisition and is awaiting finalization and possession of the property This established cash bearing oil and gas property has a complete infrastructure on all of the existing and future production and is under a closed contract located in western Canada. Manganese X presently owns 15 % of MSOG. 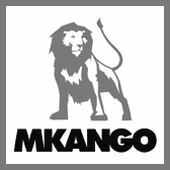 The company has an option of increasing ownership in MSOG with an additional 10% interest upon MSOG completing its current acquisition and with Manganese X Board approval. The Company’s strategy is to leverage the potential cash flow from dividends generated by its interest in MSOG’s oil and gas production wells, to advance the Battery Hill manganese and Peter Lake copper-nickel-cobalt projects, as well as other potential opportunities. The preparation of the technical information in this news release of Battery Hill, Peter Lake Cu-Ni-Co Project Update and the National Research Council (NRC/CNRC) metallurgical project update has been reviewed and approved by Roger Dahn, P. Geo. Roger Dahn is a Qualified Person as defined by National Instrument 43-101. Manganese’s mission is to acquire and advance high potential manganese mining prospects located in North America with the intent of supplying value added materials to the lithium ion battery and other alternative energy industries. In addition our company is striving to achieve new methodologies emanating from environmentally geographically ethical and friendly green/zero emissions, while processing manganese.at a lower competitive cost.